To the untrained eye, pallets may appear simple in design. As a result, many people make the mistake of trying to use any old pallet to ship everything from cement to foam insulation. What they don’t understand is that this “all-purpose” pallet approach has several potential problems. Despite appearances, there is no universal, “one-size-fits-all” pallet. Pallet professionals devote a considerable amount of time and effort to ensuring pallets are safe, sustainable, and able to maximize operational efficiency. Different pallet designs work specifically for varying sizes, weights and uses, depending on what type of product is being shipped and how. Because pallets are more often rectangular (or, if they are square, they still have a front and back distinct from their sides), the dimensions matter greatly—they’re determined by the length of your product, and the dimension in turn determine the length of the stringers (the sides) and the width of the deck boards (the top and bottom slabs). 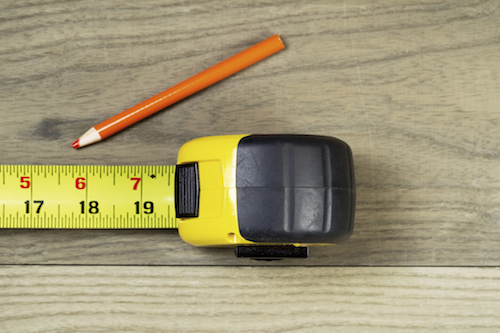 What dimensions does your pallet need to be? It should match the size of your shipment almost precisely, or else the disproportionate weight could cause overhang or deflection and ultimately damage to your product. What type of wood do you need—hardwood or softwood? It depends on what you’re shipping and how you’re shipping it, and whether you’re worried about condensation, stain and shipment weight. What grade should your lumber be—low-grade or high-grade? Grade is a consideration if either wane or bark poses a concern. Additionally it will depend on whether or not you intend to reuse pallets, or if you are operating with an open-loop system, where at the end of the line your pallets will be disposed of. How many pallets do you need? If it’s fewer than 200, they’re often made by hand; it’s not cost-effective to use the nailing machine, (which can manufacture roughly 225 pallets in an hour), because the setup time alone would drastically extend the timeline and budget. How will you ship and store the pallets? Will the pallets be moved using a forklift or hand jack? It’s important to consider the racking conditions, the unit load stacking conditions and whether the pallets will be moved via slings. Many people try to purchase pallets strictly based on price. This is a dangerous thought process, as an incorrectly engineered pallet can cost a user more money in damage, held shipments for not meeting international shipping requirements, product damage and potential personal injury as the product moves through the supply chain process. It’s easier to trim shipping expenses, but even still, the savings are minimal. Because most trucks can carry up to 600 pallets, and shipping costs are fairly static, unless you’re buying full truckloads, you’re paying more per pallet than you need to be. Beyond that, it’s best to pair with a pallet manufacturer who is upfront about costs and explains them individually. You don’t need to know the market price of the lumber you want in order to have an open conversation about transportation and manufacturing costs. The important thing is to understand what you’re paying for and why, from inception to delivery. Pallets appear to be simple structures, but they are anything but. Specifically designed to optimally carry products of certain weights, sizes and materials, buyers have many different options that need to be carefully selected to ensure the goods arrive safely. Your pallet manufacturer will be able to help you answer the five questions above, to assess the costs and to engineer an efficient pallet that suits your unique shipping needs.